Wheat Ridge Self Storage - Wheat Ridge Colorado - Call 720-591-2425 to reserve Self Storage in Wheat Ridge CO for furniture, clothing, toys, holiday decorations, electronics, bicycles, antiques, files, paperwork, vehicles, etc. We are here to help! Please, give us a call. We have the right size for you! Easy, secure, affordable self storage. You will be able to use your computer, phone, or tablet, to pay online any time of day or night! We will open July 2nd! Call us at 720-591-2425 or email us using the form. 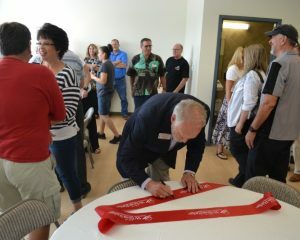 Click here to see pictures of the ribbon cutting!